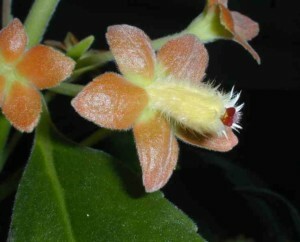 This monotypic genus is similar to Alloplectus and Columnea (to which genera the species was formerly ascribed), differing from both by its thin-walled, subglobose capsule of the episcioid type. The floral characters could place it outside the Episcia alliance, but the molecular data of Smith (2000) place it into the Episcia alliance. It is found in Central America, principally Guatemala.